Great service and problem solving. Happy recommend this business to anyone. An exceptional service recovering a water damaged iPhone 6s. Brought a dead phone back to life. Would highly recommend Pete for any repairs to iPhones or computers. Explained exactly what he was expecting and explained exactly what he had done. Great service at PC Clinic Midlands. Friendly and helpful. Astonished that if a problem is dealt with in 10 minutes there is no charge! 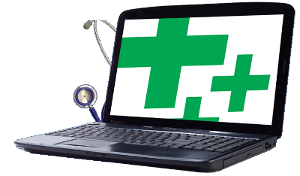 Just using my newly repaired and superclean laptop - Have just discovered PC Clinic - very efficient, reasonably priced, convenient location and friendly service - wish I had found it earlier! - thank you! My iPad developed a problem this week and I went to see Mr. Butler at the above Clinic. He rectified the fault and applied his rule of " free of charge " if work was completed in under ten minutes. I would not hesitate in recommending Mr. Butler to any of my friends. Great to see so many at the meeting on Wednesday and once again you gave good insite into problems us older surfers tend to run into. Pete has a wonderful system - if your computer can be fixed in 10 minutes - using no spares he does if for free. You can't get a service like that anywhere else in the world. Thank you for a brilliant job my computer is great now please let me know when the next class is. Thank you again. Pete provided an excellent service when I needed my iPhone screen repaired. Within 10 minutes of calling, I had dropped my phone off too him, and had it back in my hands looking brand new within a matter of hours. Thanks for your efforts Pete! Got a problem ,then Pete is your man, Highly recommended. Couldn't recommend Pete at PC clinic enough, very knowledgeable and helpful, with extremely fair and very competitive prices, has repaired a lap top and iPhone for me recently, great service A*. Hello Pete. Just to thank you very much for all your help yesterday. Very much appreciated. Thanks also for your patience with me. I know I’m not very clued up technology wise. Thank you for your speedy and efficient service in cleaning up my PC from malware problems and for your advice which hopefully will enable me to either avoid or deal with future attacks. I would certainly recommend you to anyone with PC problems. Just received this amazing feedback via SMS: Hi. Thank you so much for your expert knowledge & help with my sons computer yesterday. It was great to have someone willing to go that extra mile to help him (Friday evening was the first time I've seen him cry in a very long time!) I will certainly recommend your services to anyone I know. Just back from picking up my laptop (with its dead hard drive) from PC Clinic. Pete spent WAY too long delving into its innards and went to huge lengths to try and recover my data for too little money :) Gr8 customer service, Gr8 VFM. Used pcclinic to repair my desk top very quick and efficient. Very reasonable also. I have just had our Laptop repaired at PC Clinic. An excellent and speedy service. It is so nice to have somebody who knows what he is doing and right on our doorstep. A friendly service as well. Thank you very much Pete my son is very happy. Thanks again to Pete at PC Clinic - customer service is 100% reliable. I wouldn't hesitate recommending Pete PC. Thank you for a wonderful service, you are kind as not many service providers would do as you did. We wish more providers would work your way !!! Hi Pete, just to let you know how impressed I have been over the last year with your free advice with regards to my PC issues, as well as excellent information to make sure I have the right equipment and set up for all my needs along with prompt and friendly service and after sales with computers and equipment which I have purchased from you or had repaired by you. Thank you, it is a pleasure to find someone these days who is not waiting to fleece you due to lack of knowledge of what is required or what is wrong. Just wanted to say a big thank you to Pete!!! He has fixed my poorly laptop when I thought all hope was lost lol!! He did an excellent job for a fair price what more can u ask for!! Highly recommended and such a nice gentleman as well thx Pete. Little did I know that when my computer got poorly, and I brought it to you to sort out for me, that I would be the very happy owner of a LAPTOP. Thank you for trying so hard to mend my old system. I appreciate the product advice, and the sourcing you did for me. Your patience with an old duffer, and the knowledge you possess is much appreciated. I can't recommend Pete PC and the service he provides highly enough. Sent my daughters I pad by post on the 28th with a broken screen. Arrived back to me by post completely repaired today at 10.30 Proves he doesn't only provide local service. Fast, Efficient and cost friendly. Thanks Peter. Thanks so much for repairing my computer - you have brought it back to life. A very professional and prompt service. Pete at PC Clinic has just provided us with a new hard drive - customer service 10 out of 10, value for money 10 out of 10, advice and support 10 out of 10 - I would definitely recommend PC Clinic - thanks for all your help. Can I just take this opportunity in thanking you for your quick efficient service that you provided with regards to the repairs and restoration of our flagging computer. The work you did for us was above and beyond......and thanks to you, we are up and running and back on line. P.s. All I need now, is to drag my husband away from the screen.... so I can have a turn !! Many thanks Pete for the speedy efficient work you completed today. Computer up and running .......brilliant service many thanks !! Wow. What a job Pete did on my laptop. It was so slow and full or junk. He did exactly what he says on his advert and went the extra mile to make me happy. Could not fault anything he said and done. And a speedy return also, as I wasn't expecting my laptop back so soon. many many thanks Pete. Any concerns or problems PC Clinic can help, no waiting in a queue or being charged hefty fees. Can always rely on Pete to be there to sort things. I had a concern about virus protection and Pete advised me. Feel happier about things now. Than you so much for repairing my laptop. After having suffered a fall from a great height and extensive damage i.e. a broken screen, a broken disc drive, and other problems with slow running programs, as well as taking out Windows Vista. I am so happy to have my laptop back and newly installed windows 7, and all other issues resolved. It is marvellous, and just like having a new machine, at a fraction of the cost. I have no hesitation and cannot recommend you highly enough. I had Windows 7 installed and all my files and shortcuts transferred back to my pc meaning I lost none of my data. I was very pleased with the service and the after service as nothing was too much of a problem - I would highly recommend using Pete again for any PC related issues as the cost was reasonable and great value for money considering the service he provided. PC Clinic in Codsall are very good. I purchased a Toshiba Laptop from them and after a few months it developed a fault with the USB Ports. It was under guarantee and Pete sent it back to Toshiba who fixed it promptly. PC Clinic lent me a Laptop while mine was away. Excellent service. thanks ever so much ! life saver ! Highly recommended - call Pete PC before you buy a new device or laptop - think of the costs !! Pete is the man, no problem too big or small, and how does he do it at the price? thank you for rescuing my old system and keeping my pictures intact. So impressed I dont know how you do it but Im grateful and impressed. Highly recommended. I too would like to recommend Pete PC. His service has always been quick, professional and done to a VERY competitive price. The work I have had done has been completed to a high standard too, and to top it off he is a great bloke. Thank you and I will definitely be using you again - no doubt (though ultimately I'm hoping for better luck now). Quite impressed with PC Clinic. Service second to none. Laptop much better now. I was at a loss as what to do or who to contact, I needn't have worried. I would like to thank you for helping me, first by trying to re-boot my old computer, then by advising on a replacement. Your quick response to my cry for help, was impressive. I am now using my replacement pc, (as you can see ), and you will not be surprised when I say it is different. Just to say thank you for my speedy pc repair,and for your patience in talking me through my email problem. I would be more than happy to recommend your services to my friends, and look forward to seeing you soon to discuss an update to something a little more portable. Thank you for repairing my computer, the service, advice and tuition were excellent. I do not recommend people lightly but would have no hesitation in recommending you. Thank you very much for fixing my computer it performs much quicker now. The tools you have installed are excellent. Thanks again. I don't know how you do it. "I too would like to recommend Pete PC. His service has always been quick, professional and done to a VERY competitive price. The work I have had done has been completed to a high standard too, and to top it off he is a great bloke. Thank you and I will definitely be using you again - no doubt (though ultimately I'm hoping for better luck now)"
If anyone needs a computer repair then I would just like to recommend Pete PC. I found Pete on Perton Pages following an 'unfortunate' mouthwash incident with my son and his laptop! Computer has been fully fixed within a week and at a reasonable price. Thank you again. We found your service excellent, particularly for two computer illiterates like ourselves. We particularly liked the certification of the destruction of the hard drive of the old computer. Your tuition about the use of Skype was also very useful. Just wanted to say thanks for your help on my shopping trip to buy my playbook the other week. It was great to have some knowledgeable support and truly impartial advice. I love my new toy it works just like you said it would. Highly recommend your buying support service to anyone looking for some independent advice and help. 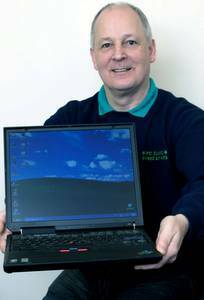 From the moment I contacted Peter with the problem with my laptop the help I received could not have been better, from diagnosing that my laptop needed replacing, to sorting out a refurbished replacement to suit my requirements. And he was always available to answer any questions I had. I would definetly recommend him to anybody who asks me. Just back from picking up my laptop (with its dead hard drive) from PC Clinic. Pete spent WAY too long delving into its innards and went to huge lengths to try and recover my data for too little money Gr8 customer service, Gr8 VFM. Thank you once again for sorting my computer out I do not have a problem getting on line now, you have a grateful pupil. When my PC developed a problem Pete was able to log in remotely, had a look and got it sorted in no time. What a relief. Very impressive service. I would be very happy to recommend PC Clinic to anyone. Thanks for your help in sorting out my computer. I knew something was wrong and your quick response solved it and put my mind at ease. Thank you once again for your prompt efficient service. I highly recommend the services of PC Clinic for your IT needs. Hello Pete, just a quick line to say thanks again for sorting my PC out. It was driving me nuts and you sorted it in no time and at a great price. Delighted with not losing any of my stuff as well excellent mate. Thanks a lot. Pete thanks for the repair on my Lap Top great job good price. I recommend PC Clinic to all of my friends a great personal service. Thanks Pete, computer working perfectly now for the first time for ages, job well done. Will recommend to friends & family. Great service and job pc clinic midlands did for me. The computer was up and running again in no time at all with a smile. Just a note to say a heartfelt thank you for the excellent PC repair work you carried out so swiftly on the damaged computer and for your patience in setting up the new one. It was very reassuring to be kept informed of the progress - so often you are left not knowing what is happening or how long a service will take. Many thanks for all the computer advice - I now know a lot more about a lot more! I shall certainly let my friends and colleagues know about the quality service you provide. Peter has been a very professional and responsive IT Support, nothing was to much trouble and getting my system back up and running was nothing short of a miracle. His customer service aftercare is very very good, Peter even sorted my Sage Software, spending hours on the phone to Sage which he did not have to do. He often calls to make sure everything is running as it should. My laptop that was grinding to a halt is now running fine. Many thanks for your I.T. engineering skills recently bought to bear on my dell dimension P.C. I was convinced the system has finally expired but thanks to your skills it now performs better than when new. I may also add that i was taken aback by the extremely comepetetive price you charged and will certainly recommend you to any family and frineds with sinilar troubles. I wish you every success in your ventures and will certainly use your expertise if rewuired in future. Having very recently used the services of PC Clinc-Midlands I can say that I found them an excellent company to deal with. Being a computer user, with very basic knowledge of how it works I was not treated like an idiot but received prompt efficient and friendly service and have no hesitation in recommending them to anyone needing IT assistance. Thanks very much, you really stopped me tearing my hair out and or throwing the damn thing out of the window! All smooth and running fine now thank you so much for a good job in a short time. Just a quick note to thank you once again for the service you continue to provide both to me and my business. I know of nowhere else that would provide me with such an excellent service. Just a note to say how pleased I have been with the service of my computers in the last few years. I'm glad you have formed a company and I thoroughly recommend their services to anyone in need of computer repair, assistance or training. I would just like to say how pleased i was with service you provided me, and also the back up when i was unsure of what needed to be done. The time you gave me was much appreciated and i would reccomend you to anybody asking me if i knew of a reliable PC repair service. Every thing fine. Very impressed with your service. Prompt and efficient. Good focus on customer satisfaction. Should give your competitors plenty to worry about. Just got my laptop back from PC Clinic Midlands. Great value for money, and a friendly service, would recommend to anyone.